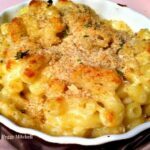 Luxury Mac n Cheese is a wonderful dish to serve either as a main meal or a side dish. Here, Peggy made it in individual oven pots for portion control and she has customised them to suit her family as some like with and some without breadcrumbs! But of course you can also make it in one oven proof dish and serve at the table. It’s certainly popular and the addition of Pepper Jack cheese adds another flavour dimension. 1. Shred all the cheeses and put in a bowl..
2. Melt butter and add your flour to start your roux sauce. When you have let your flour cook down to get the flour taste out approx a minute or two add your two cups of milk or cream its up to you calorie wise. After your roux starts to thicken add all your cheeses till well combined. When combined grate over a pinch of fresh nutmeg ( if don’t have fresh jarred nutmeg will do Just a pinch now or it will be overwhelming) Nutmeg brings out the nuttiness of your cheeses if you didnt know this already. 3. Pour the cheese right over your cooked macaroni and top with your Italian bread crumbs and chopped parsley and bake on 425 till top is golden brown. Enjoy! Shred all the cheeses and put in a bowl.. Melt butter and add your flour to start your roux sauce. When you have let your flour cook down to get the flour taste out approx a minute or two add your two cups of milk or cream its up to you calorie wise. After your roux starts to thicken add all your cheeses till well combined. When combined grate over a pinch of fresh nutmeg ( if don't have fresh jarred nutmeg will do Just a pinch now or it will be overwhelming) Nutmeg brings out the nuttiness of your cheeses if you didnt know this already. 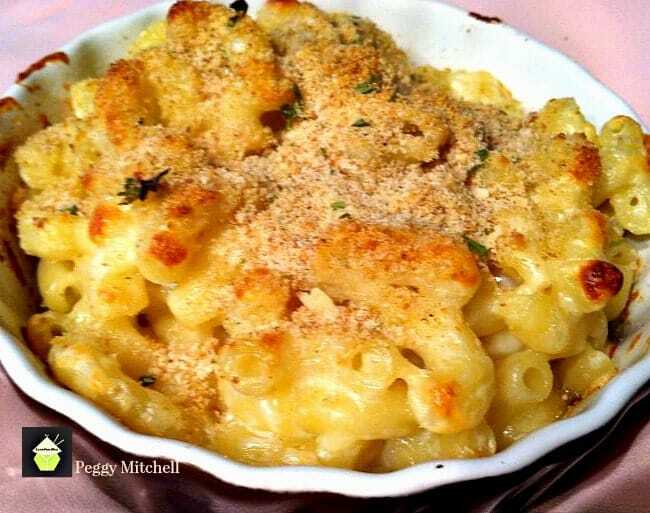 Pour the cheese right over your cooked macaroni and top with your Italian bread crumbs and chopped parsley and bake on 425 till top is golden brown. Enjoy! Sounds great but that would take my paycheck buying all that cheese. Hi Lisa, it is certainly a ‘rich’ dish! 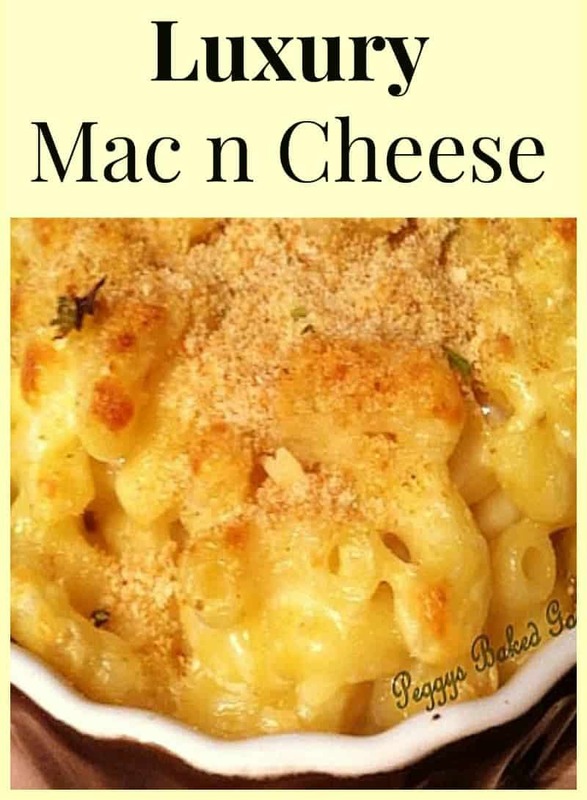 What I would advise is if you swap some of the cheeses for ones you can afford, as I do know some can be a little expensive, (that’s why this is called a luxury mac n cheese) but of course, swap out some of the more expensive cheeses for what fits with your budget. It will still be super tasty!